Refurbished models available for $69! Your new favorite “utility” club. The world’s first golf club inspired Bluetooth speaker and power bank designed to enhance the way you pair music with golf. Bluetooth Speaker with two 30mm drivers and a passive bass radiator. It’s loud, it’s deep and it’s the only Bluetooth speaker made specifically for golfers. Ground Spike is revealed when you remove the shaft’s grip section. Secure your speaker in the ground while practicing and partying outside. Massive Battery stores 4,000mAh of power and provides over 10 hours of music and there are dual USB outputs to charge your devices while golfing. Modular Shaft breaks down for storage, travel and user preference. 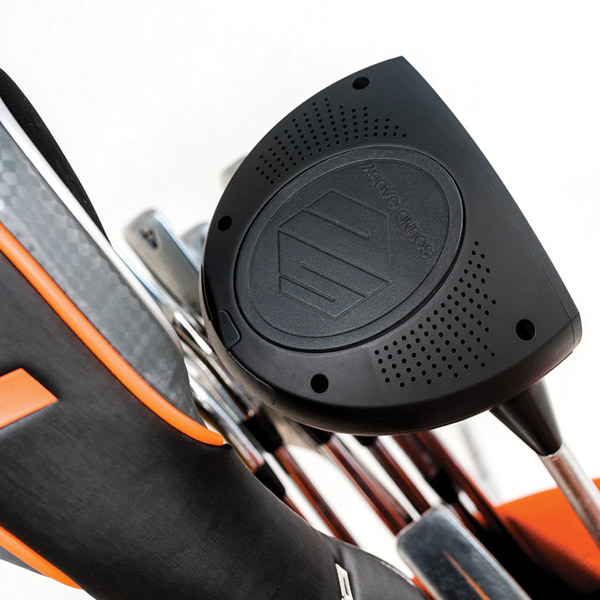 Keep it assembled in your golf bag or just use the speaker head. Weatherproof so that you don’t have to worry about rainy days or accidental splashes on your speaker. Please just don’t take it scuba diving. Tee Spike that goes in the hosel of the club’s speaker head. With the shaft removed, you can secure your speaker in your golf cart’s tee holder. No wires necessary. Connect your device and let the good times play. 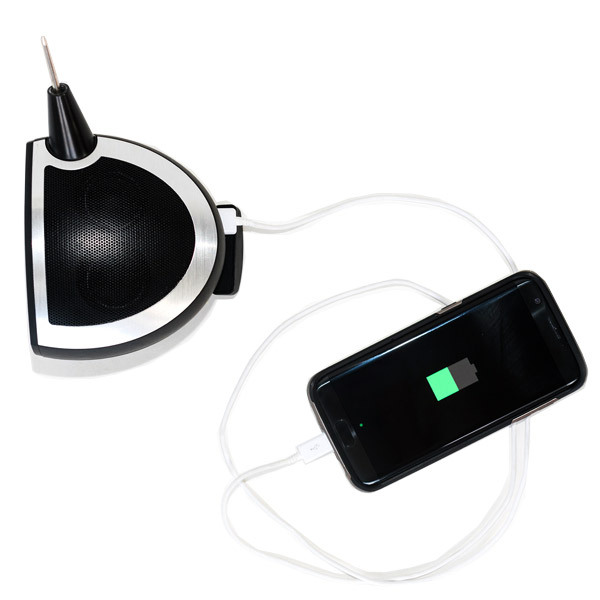 Built-in power bank with two USB ports keeps the party going, and your phones charged, all round long. Take calls, via speakerphone, with a touch of a button. The echo-cancelling technology makes for crystal clear two-way audio. 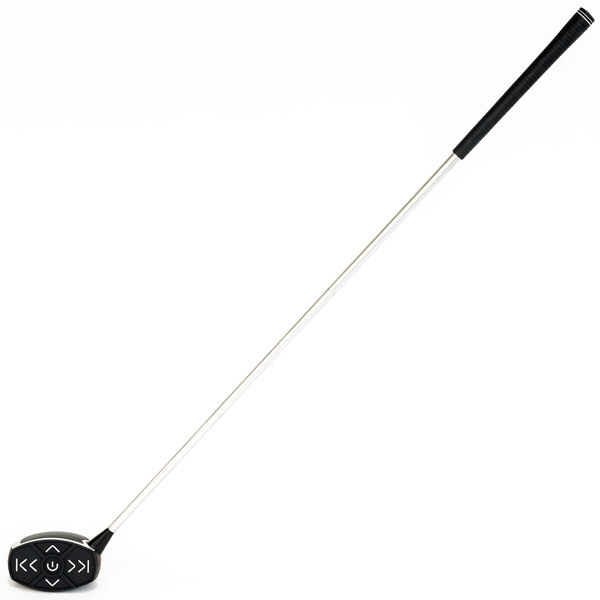 A removable shaft, grippy rubber bottom, and tee-hole spike lets the Sound Caddy ride shotgun with you in the golf cart. 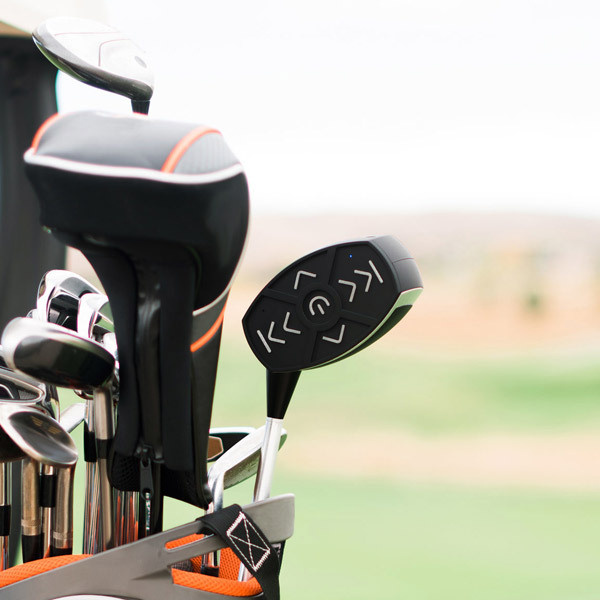 Explore the Sound Caddy—its construction, what's in the box, how to assemble & operate it, and how well it fits in your golf bag!